The deVere Group has agreed to the sale of its deVere USA business as it bids to expand its operations in other jurisdictions around the world. International Investment has learned that deVere USA is to be sold to Hong Kong-headquartered Brite Advisers, which is headed by CEO Mark Donnelly. When asked a deVere spokesperson confirmed that the sale has been agreed for "an undisclosed amount" and will be completed upon receipt of regulatory approvals. 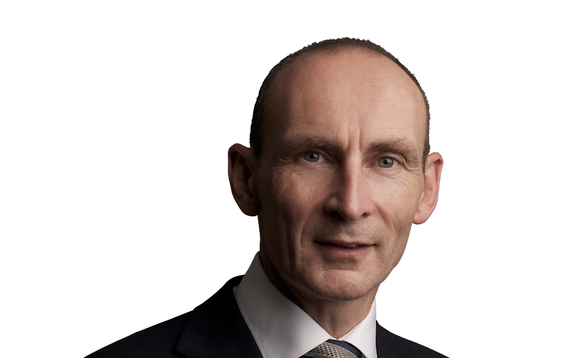 Nigel Green, pictured above, founder and CEO of deVere Group said that the "strategic sale" of deVere USA to Brite Advisers is part of "ambitious plans to expand other areas of our business". "These include pursuing major acquisitions, further developing and broadening our own range of investment solutions and fintech propositions, as well as launching new deVere brands," said Green. "We're confident Brite will offer a high level of service to existing clients in the US." DeVere has been particularly vocal in the US in recent years spearheading a campaign to overturn the controversial FATCA ruling. Green reiterated his desire to continue it serve his company's many US clients. "DeVere continues to help American expatriate clients across the world reach their medium and long-term financial planning goals using our specialist cross-border financial expertise and results-driven financial solutions," he added. Brite Advisory Group are licensed in Hong Kong with the SFC, in Australia with ASIC, and in the United States with the SEC. Brite Advisory Group also have numerous pensions schemes, administered in Hong Kong, Gibraltar, and Malta, according to the company's website.